A spinal stenosis mattress is a sleep surface that promotes comfortable positioning for patients who are affected by severe symptom-generating versions of central spinal canal narrowing. There are many different styles of mattress and each claim benefits compared to their competitors. Learning to separate the true facts from the marketing hype can be a real challenge for any consumer who suffers from back or neck pain that is caused by stenotic change. Although we have always been rather critical of mattresses that are claimed to provide tangible benefits for back pain sufferers, this article will delve deeper than ever before, to uncover the actual boons and limitations of these specialized sleep products. Be sure to do diligent research on any mattress, before counting on it to assist in providing necessary relief from stenosis-related pain. This editorial will get you started on the right track. What is a Spinal Stenosis Mattress? Mattresses come in a huge diversity of styles, materials and applications. When it comes to mattresses that are specifically marketed to dorsalgia patients, everyone seems to have their own thoughts on what works best. Mattresses for spinal stenosis are made with the goal of providing adequate support and comfort, while minimizing the terrible symptoms that are experienced by so many patients in particular sleep positions. Remember, each case of stenosis is unique, in terms of the cause and the expression, so no mattress can be universally effective for all symptomatic circumstances. It is for this reason that we begin by cautioning patients to be leery of any product which does claim universal benefits, since buying any of these products often quickly turns into a financial and functional disappointment. When discussing stenosis mattresses, we are focused on sleep products that claim to be helpful in alleviating back or neck pain from a variety of possible causations, including spinal canal stenosis. 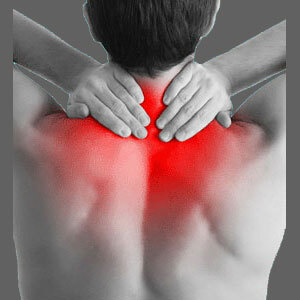 Many patients experience pain or neurological symptoms when their body is positioned in particular ways. Unfortunately, while not overly common, some patients might suffer escalation of these expressions while attempting to relax in bed and sleep. The body needs rest and chronic pain sufferers truly need every pain-free moment they can get. Patients who do endure symptoms in bed are among the least fortunate and often suffer a host of related health issues, ranging from listlessness to insomnia to depression, due to a lack of quality sleep. Some sleep products might work well for individual patient needs. For example, if a person suffers increased symptoms while the spine is bent in a certain manner, then avoiding this positioning should prove to be therapeutic. Therefore, a mattress that can support a more comfortable position will prove to be better for that person than mattresses that compromise the known comfort thresholds. When a mattress is ideally matched to a patient, that person will sleep better, feel better, awake with more energy and less pain and be better prepared to face a new day. Remember that each and every day is sure to come with its own struggles, as every chronic pain patient definitively knows. Discovering which sleep product will work best is greatly dependent on the patient’s needs and wants. It usually takes some trial and error to ascertain whether side, back or stomach sleeping is most restful. It might take even more time to discover the firmness that feels best to each patient. Some might prefer firmer, while others like a softer and more luxurious support characteristic. There are many options which need consideration when purchasing a mattress. Remember, there are inner-spring styles, cotton futons, memory foam products, inflatable air-chamber bedding, adjustable beds and many other unique styles. Cost ranges from minimal to ultra-expensive, but unfortunately, a high price does not always denote superior quality. We recommend taking your time when shopping for a mattress. Go to several stores and try out a variety of styles. Do not be in a hurry. Actually take time to lie down on each for a while and see how they feel. Compare and contrast different types of bedding before making a final selection. Be sure to ask questions and inquire about any recommendations from your doctor or a qualified mattress expert. Do not just trust a salesperson who is trying to move a product with a high profit margin. 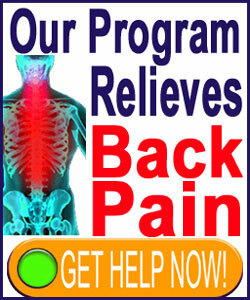 Likewise, be cautious of healthcare providers who just happen to sell mattresses and other back pain products directly. Their recommendations are likely to have far more financial benefit for them than actual efficacy for you. We wish there was a universal answer that we could provide when it comes to the question of the best mattress for spinal stenosis. However, no one can answer that question for you; except you. Your pain is unique and the solution for it must be unique, as well. We would love to hear what has worked well for you. Please consider sharing your mattress experiences on our social media pages, as a way of helping other patients to find the answers they need to feel better, as well. For more information, please use the search function to find all of our articles about back and neck pain mattresses.